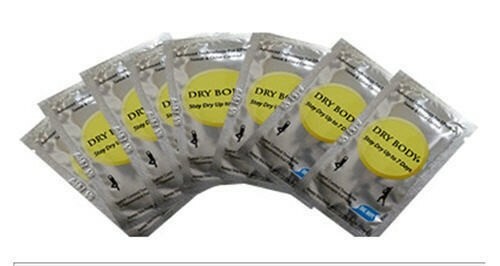 Dry Body ® patented, All-In-One maximum FDA allowed formulation (15% aluminum chloride base) wipes begin working immediately to effectively block sweat in the area where applied. 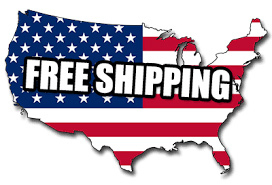 Depending on your body chemistry, Dry Body ® will eliminate sweating up to 7 days. It is waterproof through showering and contains additional aloes and Vitamin E to reduce all irritation. During the night when your sweat glands are less active, the formula will safely form a block in your sweat glands that will last up to a week. It will not wash off and it does not leave any film. You wont even know it's there! Before bedtime, open one of the packets and dab (do not rub) the disposable pad thoroughly under the arms within the hairline or anywhere on your body (keep away from your eyes). 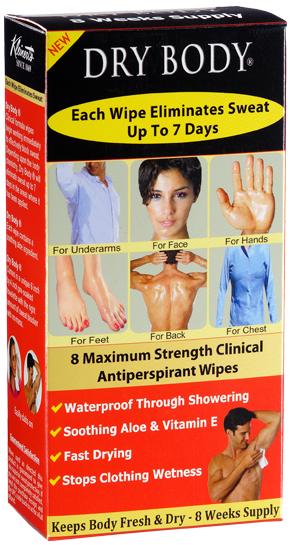 The Dry Body ® soaked towelette has a pleasant clove smell when applied. Allow your underarms or skin to air dry for a few minutes, and then go to bed. During the night when your sweat glands are less active, Dry Body ® will safely form a block in your sweat glands that will last up to a week. It will not wash off, it does not leave any film, and you won't even know it's there, except that you won't be sweating. In the morning you can shower, shave and get on with your life, sweat free. The Dry Body ® formula and its application method was created by a clinical research lab who has many years of research experience in the production of antiperspirant products. If you have sensitive skin and experience any discomfort discontinue use of Dry Body ®.